NASCAR says it must “change the culture” of its teams attempting to run illegal cars in Cup Series races as it is getting into “borderline ridiculous territory” with post-race penalties. Stewart-Haas Racing’s Kevin Harvick was hit with an L1 penalty on Wednesday that has thrown doubt on his championship challenge. 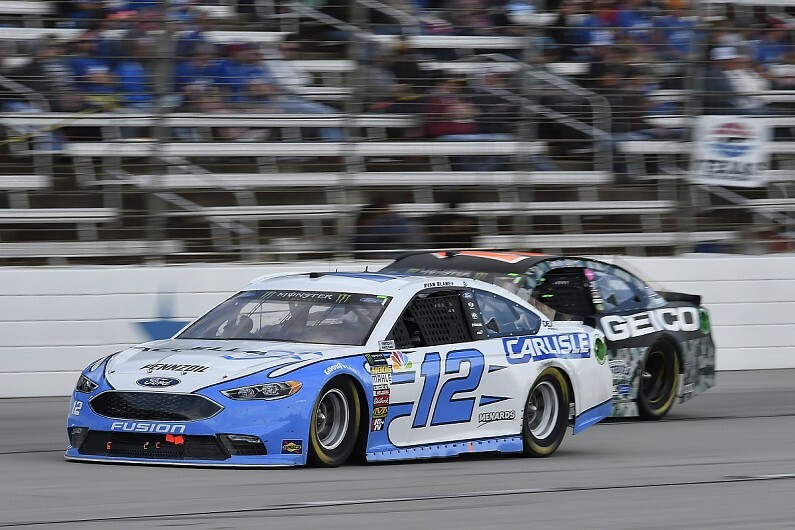 The SHR driver’s victory at Texas is now encumbered, meaning it cannot count towards a place in the championship shootout, and the 40-point penalty leaves him with just a three-point buffer going into the ‘final four’ decider at Phoenix this weekend. Harvick’s penalty was due to a rear-spoiler infraction, and he was one of three drivers penalised this week. “We have to change the culture. We can’t just say ‘take that [illegal element] off’ because ‘take that off’ obviously isn’t working anymore,” said NASCAR senior vice president of competition Scott Miller. “Teams should be bringing legal cars to the racetrack, and we shouldn’t have to do those inspections all the time. Harvick’s 40-point punishment was considerably higher than the other drivers hit with penalties this week, as both Ryan Blaney and Erik Jones were penalised with 20 points lost for other technical infractions in the Texas race. NASCAR says it will be reviewing its methods to deter teams from pushing beyond accepted limits. “We’re actually looking at a lot of different things in the off-season in regards to the deterrence model,” said Miller. “We’ve heard the fans call out for, ‘Why don’t you DQ [disqualify] the offending car?’ That’s actually a topic of discussion, among with many other things. “Certainly points, the deterrence model, fines, suspensions. Miller added that Harvick and his #4 SHR team’s penalty was “as black and white as it gets”. The #4 Ford’s spoiler was offset slightly to the right in a clear aerodynamic advantage driving into the corners, which was noted by a series inspector during the race weekend. Miller said that the spoilers come from a single-source supplier and an inspection at NASCAR’s R&D Centre in North Carolina this week found SHR’s infraction. “We believe this to be a separate manufactured part by the team,” said Miller. “But if they would have modified a standard one, the penalty is the same. Miller added that the spoiler on Harvick’s car was “absolutely, 100%, no question” not in compliance with NASCAR rules.